The fuchsia microfibre Lotus Sommerton handbag is an accessory that you will effortlessly pair with a wealth of looks. Understated, this Lotus envelope clutch bag encompasses a polished metal trim, a magnetic snap closure and a detachable chain strap which allows for it to be used as a shoulder bag as well as a clutch. 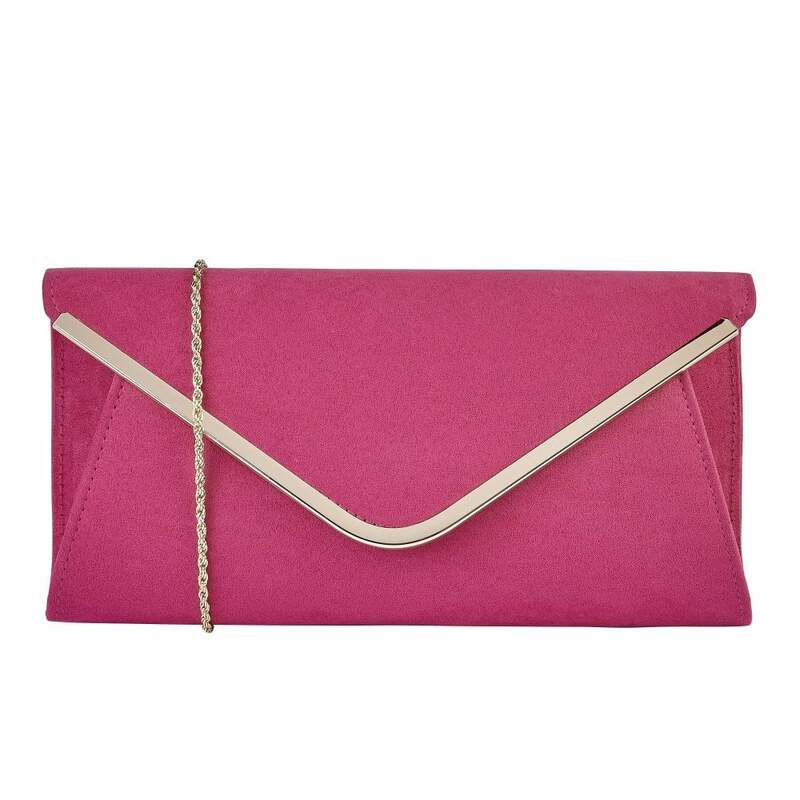 It’s so versatile this Lotus envelope clutch bag certainly has wardrobe hero status!